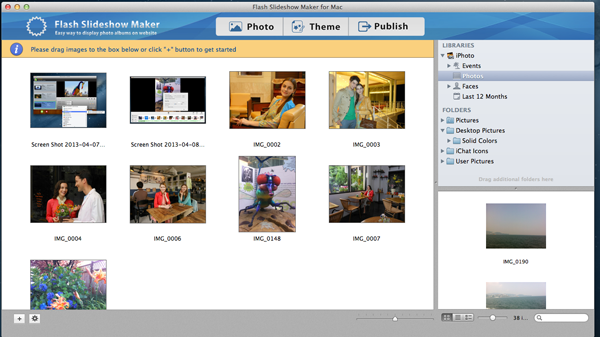 No matter you want to create a flash slideshow, flash banner, photo gallery or other flash components for embedding into your own website, Flash Slideshow Maker for Mac is a good choice. 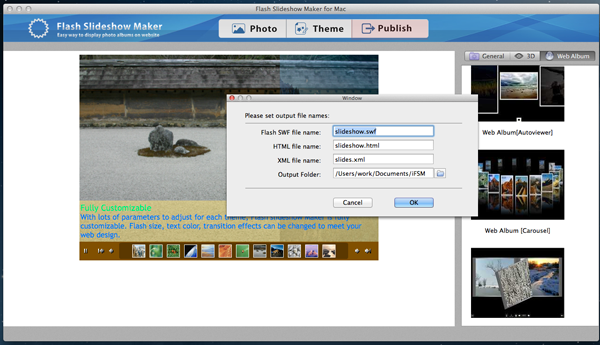 You do not need to know Flash Action Script coding or any other flash making skills, just add your images into the flash maker, then a terrific XML+SWF Slideshows with transitions, pan / zoom effects, background music and stylish theme is ready to publish. 1. Easy-to-use: 3 steps to create a professional flash slideshow – add photos, select a Flash slideshow template and publish. It has a clear and user-friendly interface. 2. Various flash theme templates: There are over 60 preset theme templates for choosing. You can find one you like for your flash banner, photo gallery, web albums and more. After selecting a theme, you can customize it, such as Flash widths, heights, background color, font size, etc. 3. Easily embed a flash into your own website: After publishing a flash, you just need to copy and paste all the generated files into your website folder, then paste the specified code into your page in Dreamweaver. Click Photo tab, then drag images from your Mac hard drive into the main screen, or you can click the “+” button to locate and add images. You can arrange photos by dragging and dropping. 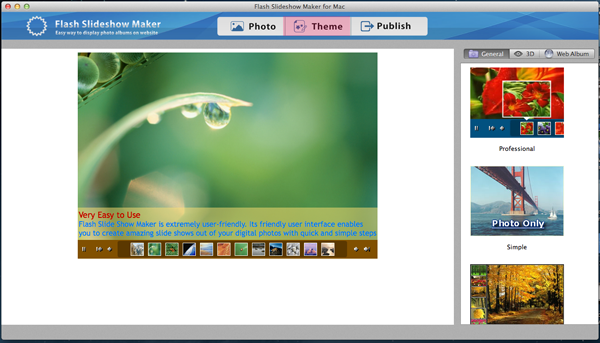 Go to Theme tab, you can select a theme for your flash slideshow or web album. The themes are divided into three categories: General, 3D and Web Album. Select a theme you like, then customize it, such as Flash widths, heights, background color, font size, etc. Switch to Publish tab, in the pop-up window, you can set name for SWF , HTML and XML file and specify the output folder. 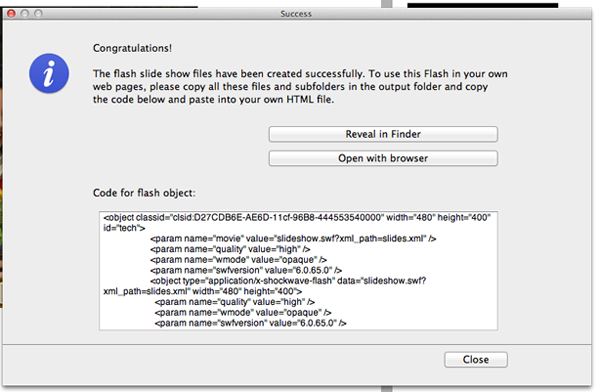 Then click OK to begin creating the flash slideshow. When the flash slideshow files are created successfully, you can find the output files by clicking the folder button next to Output Folder box( ). There are 3 folders, 1 xml file, 1 html file and 1 swf file in the output folder. At the same time, a Success window will pop up, offering tips on how to add the flash into your own website. To embed a flash into your own web pages, just move all the files in the output folder into the same folder with your web page, copy and paste the generated code for the flash object into your page HTML in Dreamweaver. This entry was posted in Flash Slideshow Maker and tagged flash slideshow maker for mac os x, mac flash slide show generator, mac flash slideshow maker, make flash slideshow on mac on May 28, 2013 by Sarah Jablich. A best way to preserve the best memories of your family is to make a home movie. Take pictures or film videos for your family members, or collect all the meaning photos together, then create a family movie DVD for generations to preserve and share memorable family stories. Run DVD Photo Slideshow on your computer. Click Organize Photos-> Album Photo, and drag photos / videos into the main screen. You can organize photos by dragging and dropping. If you like, you can click Text button to add narrative or quotes on photos. DVD Photo Slideshow allows you to customize your home movie with transitions, one or multiple songs, a theme. There are various transitions for choosing, also you can select a beautiful theme for your movie. Add one or more songs as the movie background music, if you like you can record sound and use it. Go to DVD Menus tab, you can select a menu template, and customize the menu with background image, background music , title and more. Switch to Burn Disc tab, and select DVD Video Disc to make a home movie DVD. Also you can save it on your computer in different video formats, such as mp4, mpg, avi, etc. After making a home movie DVD, you can play it on DVD player or TV with a DVD player. If you want to share it on YouTube, Facebook, iPad, iPhone or Android device, you can save the movie in a correct format first, then upload it to Facebook / YouTube, or transfer it to iPad / iPhone / Android device. This entry was posted in DVD Photo Slideshow and tagged create a home movie, create a movie with family pictures, make a home movie dvd on May 24, 2013 by Sarah Jablich. 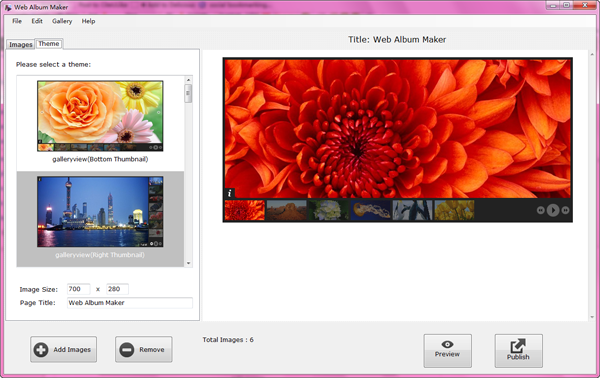 Drag images from your computer to Images area, or you can click Add Images button to locate pictures and add them into Web Album Maker. Then you can add title, description and URL for images, arrange image order, or remove images. Click Theme tab to select a theme for your jQuery slideshow, the software provides various stylish jQuery themes to choose for your photo gallery and photo banner, such as bottom thumbnail, right thumbnail, bottom dot, etc. In the Image Size boxes, you can set width and height for the jQuery slideshow. For example, I set 700 x 200 px for the flash banner. Click the Preview button to view the slideshow. If you are satisfied with it, click the Publish button to create the jQuery slideshow. When it is published successfully, you can see the notice window below, with tips on how to embed the slideshow into your own web page. Open the output folder, you can see 3 folders, 1 html page and one css file. Copy all the files in the output folder and paste them into the same folder where you put your website pages. Open the HTML page of the jQuery slideshow in Dreamweaver. 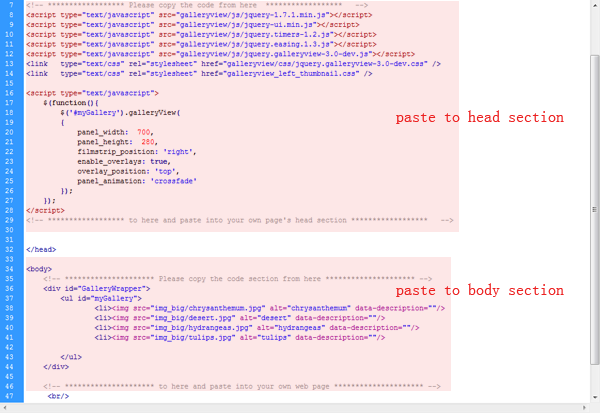 Copy and paste the two parts below separately into head section and body section of your own web page. Preview the web page in browser, you can see the jQuery displayed. Father’s love is one of the greatest love in the world. Father is like a mountain, who we can rely on and lets us not be afraid. 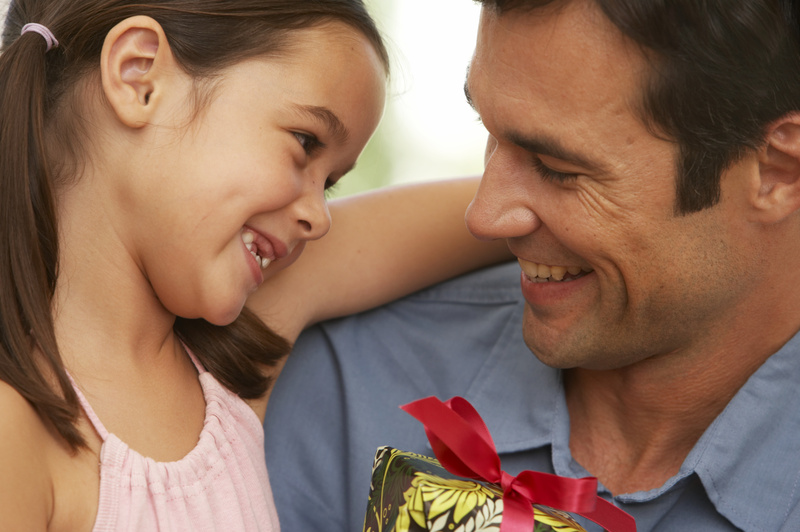 As Father’s Day is approaching, it is time for us to tell father how deeply we love him. We do not need to spend much money to buy gifts for them. Collect some meaning and funny photos of you and your father, then convert photos to a slideshow with father theme songs as a Father’s Day gift for your father. Then watch the Father’s Day musical slideshow with your father and family to recall the best memories and feel your father’s love. 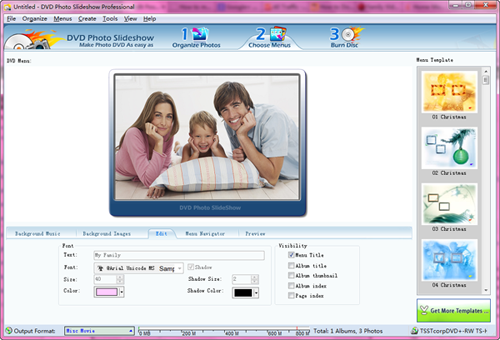 Slideshow software to make wonderful Father’s Day Slideshow. 1. 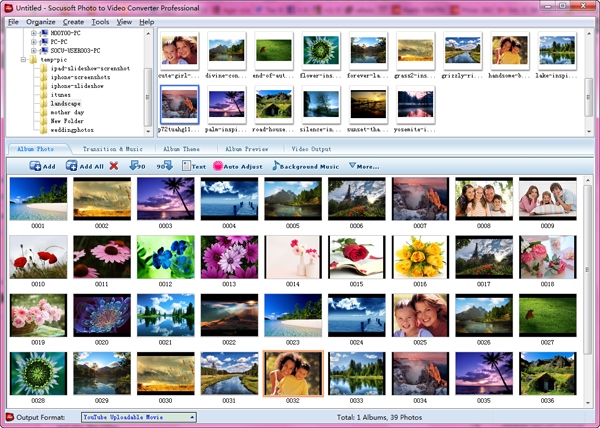 DVD Photo Slideshow – Make Father’s Slideshow DVD or slideshow videos on Windows PC. Here is the list of top songs you can use in a Father’s Day slideshow or as a thoughtful gift for Father’s Day. Big Poppa – Notorious B.I.G. This entry was posted in Slideshow Music and tagged father's day slideshow song, song for father's day, song for fathers day slideshow on May 22, 2013 by Sarah Jablich. For some specific reasons, you want to put different pictures into different slideshow projects, and you personalize each slideshow project with music, transitions, pan / zoom effects, text, etc. Then you need to combine several slideshows to one file with each slideshow’s effects unchanged. Read this tutorial to create several slideshows and merge them into one file with DVD Photo Slideshow. 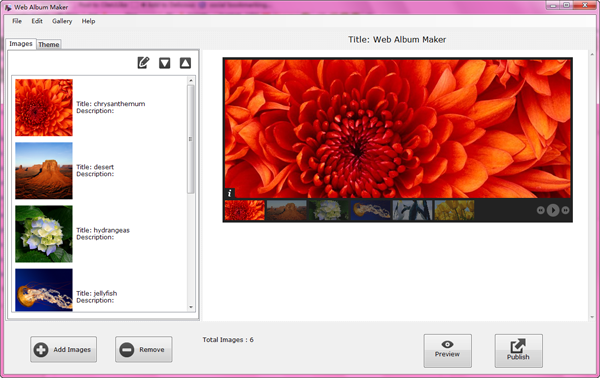 You can create several slideshow projects by putting different pictures into different albums. Then customize each slideshow with transitions, text, music, pan / zoom effects and more. Then save each slideshow as an avi video. 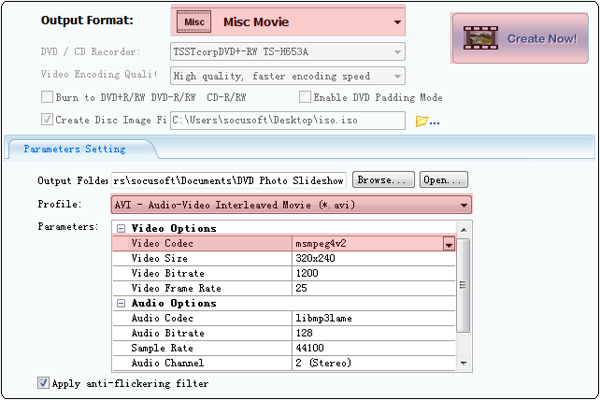 Click Burn Disc tab, and select Misc Movie from Output Format drop-down list. Then select AVI – Audio-Video Interleaved Movie (*. avi) from Profile drop-down list. 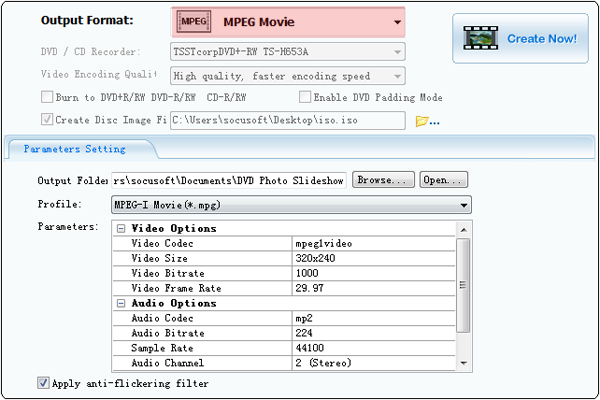 In Parameters group, under Video Options, select msmpeg4v2 from Video Codec drop-down list. Click Create Now! to create an avi video slideshow. Note: The reason why to save a slideshow as avi video is that make sure that DVD Photo Slideshow will support the video format when you add the video slideshows to merge multiple slideshows. If you want to merge videos that are not in avi formats into one. You need to use Clone2go Video Converter Free Version to convert videos to avi videos first, then follow Step 2 to merge them into one. Remember to choose msmpeg4v2 as the Video Codec. First ,you need to add the avi video slideshows you have just created into DVD Photo Slideshow. Click Organize Photos tab and drag the avi video slideshows into Album Photo area. Then you can see all the videos listed under Video Clips area. Remember to put all video slideshows into one Album. Then go to Album Preview to view the merged video slideshow. Finally, Click Burn Disc to string the video slideshows together. Select a video format from Output Format drop-down list, DVD Photo Slideshow supports all popular video formats, including mp4, flv, mov, avi, mkv, mpeg, h.264, h.264 HD, 3gp, 3gpp2, swf. Then click Create Now! button to merge all the video slideshows into one video file. Also you can burn the merged video slideshow onto DVD and CD. This entry was posted in DVD Photo Slideshow and tagged combine slideshows to one, merge multiple slideshows into one file, merge videos to one file, string video slideshows together on May 21, 2013 by Sarah Jablich. Wanna turn your photos into a professional video? This tutorial will show you how to create a stunning video from photos with music, transitions and more effects. Maybe you are sick of sharing still photos with friends. Now you can convert your digital photos to a stunning musical video for publishing on YouTube, Facebook, or watching on iPad, iPhone or Android device, etc. With Photo to Video Converter Professional, it has been never so easier to make a video from pictures. Launch Photo to Video Converter Professional on your computer, and click Album Photo tab. You can drag photos to this area directly from your PC or use the Add and Add All button. There are simple photo editing options you can use, such as rotating, adjusting brightness/ contrast, adding text and art clips. Go to tab Transition & Music to add background music and select transitions for all slides. 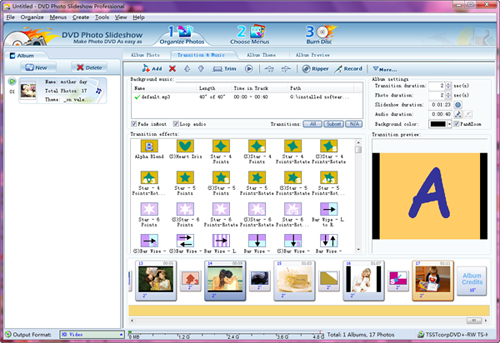 The video maker allows you to add more than one songs or part of a song by trimming music. Also you can sync slideshow to music to make slideshow time match music duration. In Transition effects group, there are over 300 transitions for choosing. The software can automatically apply transitions between all slides. To change the transition, select it and double-click a transition you like to change it. Switch to Album Theme tab, you can select a theme for your video from the theme templates. Also it allows you to add titles at the beginning and credits in the end. After customizing a video, you can preview it to check if it is satisfying before publishing. Go to Album Preview tab and play the video. Finally, you can output the video for saving and sharing. Click Video Output tab to select a video output format. Photo to Video Converter Professional supports all popular video formats, including including mp4, flv, mov, avi, mkv, mpeg, h.264, h.264 HD, 3gp, 3gpp2, swf. After selecting an output format, click Create Now! button to begin creating the video. This entry was posted in Photo to Video Converter and tagged convert pictures to video, create video from photo, create video with pictures on May 20, 2013 by Sarah Jablich. Baby is the light of a family and can bring smiles to the family. Parents like taking pictures to record baby’s growing experience, such as baby’s birth, baby’s first birthday, baby’s first shower. Photos will be a precious gift for your babies when they grow up. For they can learn what they look like and some funny things in the previous life. Any good ways to share your babies’ photos? Making a baby slideshow with music can be a good choice. You can watch a baby slideshow on TV or share a baby slideshow to Facebook or YouTube for sharing with friends. You can pick up some baby songs for slideshows from the list below. To make a baby slideshow DVD or slideshow video, DVD Photo Slideshow is recommended. 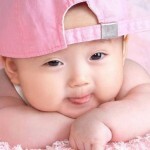 This slideshow maker enables you to make stunning baby slideshows with songs within minutes. Also it provides kinds of effects to make your baby musical slideshow special and attractive. 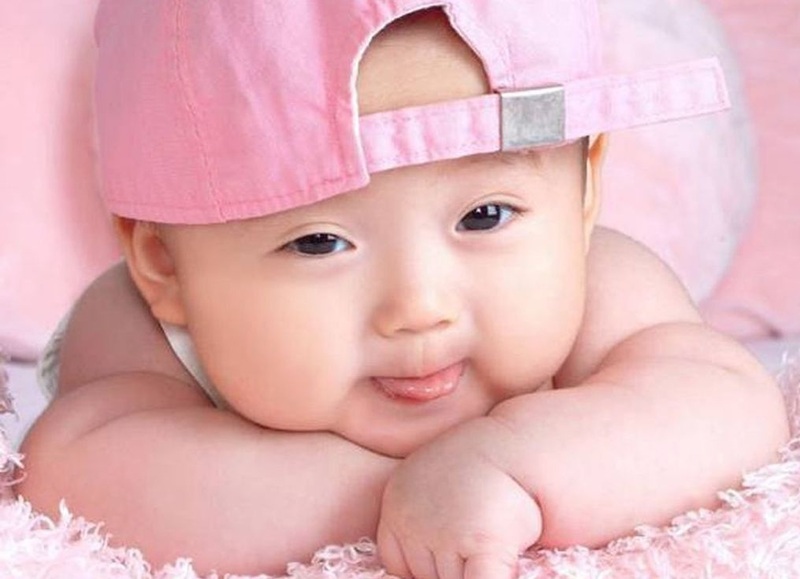 This entry was posted in Slideshow Music and tagged baby slide show song, baby slideshow music, baby song for slideshow, songs for baby slideshow on May 20, 2013 by Sarah Jablich. CastOnTV is an iOS/Android app that works with Chromecast. It enables you to stream photos and music in your iPhone/iPad/iPod touch/Android device to the bigger TV screen in a slideshow way. Video clips recorded with your device can also be mirrored to the TV screen.